Tasty tuna, crisp peppers and sweetcorn topped with golden melted cheese in an oven baked corn tortilla sandwich. Heat a drizzle of oil in a frying pan, tip in the chopped peppers and cook for 2-3 minutes. 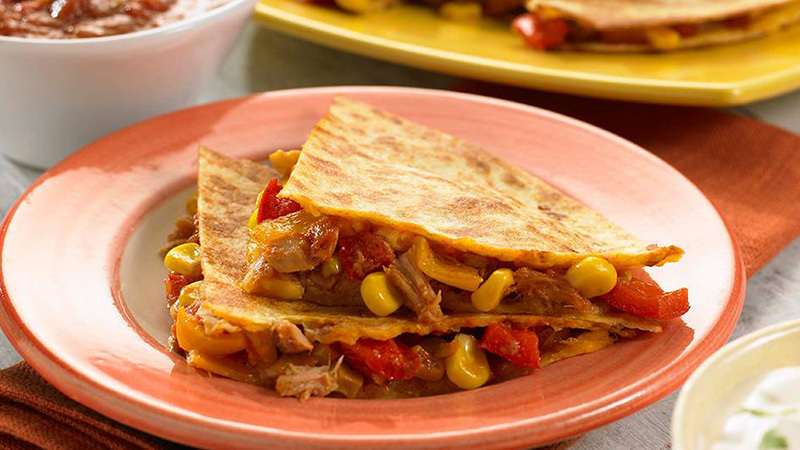 Throw in the sweetcorn and tuna, sprinkle over the Quesadilla Spice Mix and pour in 100 ml water. Simmer for 2-3 minutes. Brush a large frying pan with the oil. Lay a Corn Tortilla in it and spread with the Mild Original Salsa. Spoon over a quarter of the tuna mixture and the cheese, then place another tortilla on top. Cook over a moderate heat for 2-3 minutes. Press down with a spatula until the cheese starts to ooze out. Repeat with the remaining tortillas, salsa, tuna and cheese. 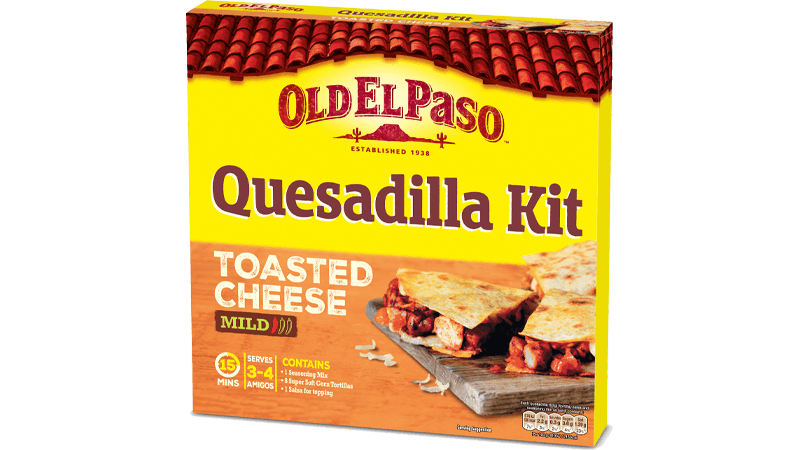 Cut into wedges, spoon on a dollop of tangy salsa, cool sour cream and dish up a big slice of tuna quesadillas to your friends or neighbours, with a fresh crunchy salad on the side.